3rd Friday Folk-Coffeehouse at the Carnegie* – The Carnegie Community Arts Center 107 N. Main St. Downtown Somerset 7:00pm. 3rd Friday Folk Coffeehouse at the Carnegie carries on the tradition of the American folk music venue by providing a listening space for artists and audiences to enjoy each other’s company, music, and mutual encouragement. 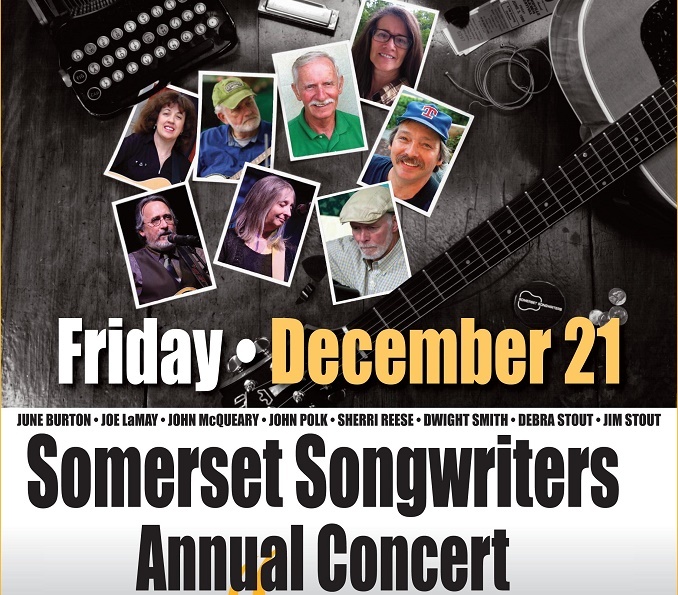 This month features the free “Somerset Songwriter’s Annual Concert” featuring eight of Somerset’s finest musicians/songwriters. *An Official WoodSongs Coffeehouse. Call 606-305-6741 or 606-677-0333 for reservations and visit http://lamay.com/3rdFridayFolk.htm for information.